One of the finest restaurants in Toronto NSW. Occasionally you will find a restaurant you rave about, Ollie's @ Toronto Diggers is one of those.... and everyone's talking about the great food. You can pop in for a tasty, quick snack or meal, or simply to relax with a drink. Ollie's @ Toronto Diggers has relaxing spaces, plenty of room for families, groups or quiet places for couples. And when you savour the food... just wait. Ollie's @ Toronto Diggers offers a sensational, well-priced, high quality modern Australian menu along with an impressive selection of Australian wine. At Ollie's @ Toronto Diggers a high standard of service is guaranteed. There's an inviting, relaxed atmosphere, and a truly cosmopolitan selection of light meals, gluten free, salads, gourmet sandwiches, coffees, cold beverages and impossible to resist cakes. We purchase only the best coffee beans and ensure customers receive the same delicious cup every time. For a meeting, a luncheon, rendezvous or a coffee and cake at any time, it is a great place to meet and be seen. 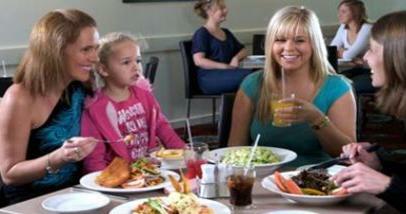 Ollie's @ Toronto Diggers is the perfect place to dine with family or celebrate a special occasion.